A wet July has helped Wheatbelt landholders plant one million trees thanks to incentive programs run by the Avon Catchment Council. The programs are worth a total of $500,000 and have helped 85 landowners with the cost of tree planting, while also tackling salinity, water and wind erosion and helping to increase biodiversity. 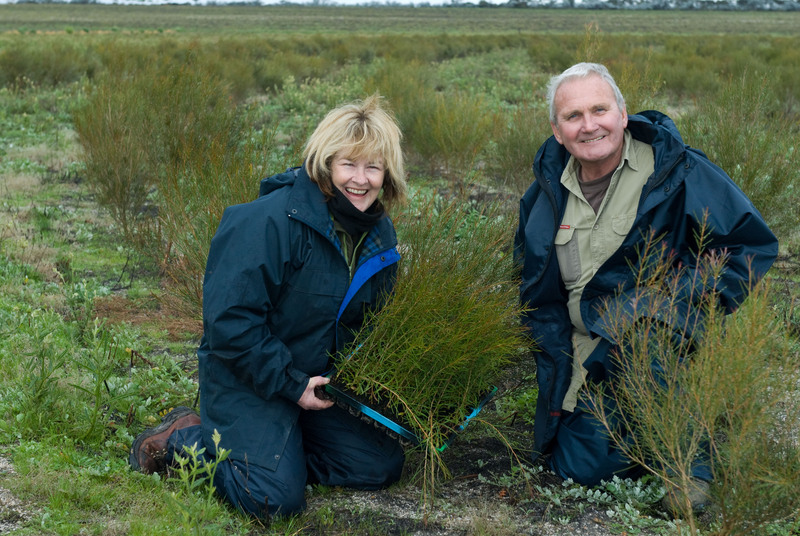 Judy and Roger Elt this week planted 45,000 trees on their property at Mawson, in the shire of Quairading. “This is the fourth year we’ve planted trees and it’s already helping to stabilise soils,” Roger Elt said. The property has large tracts of remnant vegetation in excellent condition, with several priority species of flora and fauna. “We’re helping to fill in the gaps where vegetation has been cleared, to help reconnect the bush,” Roger Elt said. Helena Mills from WWF – Australia said the Elts' bushland was of outstanding natural value. Helena Mills said. Roger and Judy Elt said while conservation was a priority, they were also planting timber species for agroforestry. “Through the Avon Catchment Council we have already planted 80,000 brushwood seedlings, plus another 15,000 this week,” Roger Elt said. The Avon Catchment Council is also working closely with the Oil Mallee Association through its Salinity Management Project. The ACC’s Rochelle Pyle said this program had resulted in 300,000 oil mallees planted this season. “Because July has so far been such a wet month across most of the Wheatbelt, we’re confident that the million or so seedlings planted will have a great start,” Rochelle Pyle said. “The ACC has this month alone helped land owners from Goomalling and Wongan to Mukinbudin in the north east, and south through to Pingelly & Hyden plant the seedlings.